1776 Event homeCustomer reviews HamiltonThe PromNetworkTo Kill a MockingbirdKiss Me KateHadestownOklahoma! A brilliant and remarkably moving work of theatrical art. 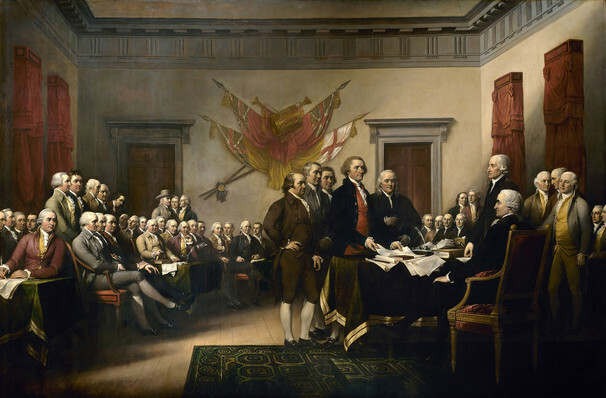 Join Phoenix Productions this winter for a brand new revival of Peter Stone and Sherman Edwards' 1969 Tony-winning hit that shines a light on the incredible days leading up to the signing of the Declaration of Independence. Fractious and compelling, these historically significant events are examined in clever songs and witty dialogue, including 'Sit Down John' and more. Hamilton might be across town giving us the inside scoop on one founding father, but prepare to give 1776 a chance to show you Ben Franklin, John Adams and Thomas Jefferson in an entirely new light. Educational and thrilling, this boundary changing musical is a wonderful night out for all the family. Seen 1776? Loved it? Hated it? Sound good to you? 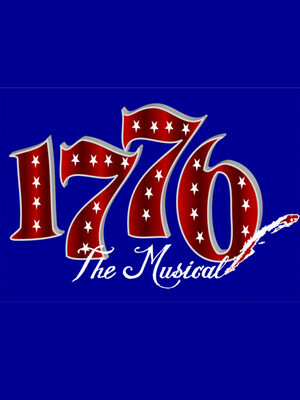 Share this page on social media and let your friends know about 1776 at Count Basie Theatre. Please note: The term Count Basie Theatre and/or 1776 as well as all associated graphics, logos, and/or other trademarks, tradenames or copyrights are the property of the Count Basie Theatre and/or 1776 and are used herein for factual descriptive purposes only. We are in no way associated with or authorized by the Count Basie Theatre and/or 1776 and neither that entity nor any of its affiliates have licensed or endorsed us to sell tickets, goods and or services in conjunction with their events.